Kidepo National Park Uganda | Wildlife Safaris | Flying safaris to Kidepo park | chartered flights to Kidepo valley. 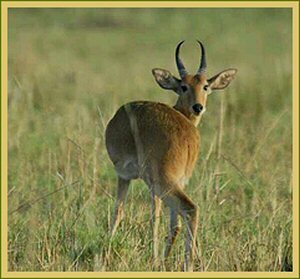 Kidepo Park is one among Uganda’s most spectacular parks with a wealth of wildlife and scenic beauty. It lies within the north-eastern horn of Republic of Uganda in Karamoja district and covers a neighbourhood of 1442 sq. kms. Being drier than Uganda's different parks, this spectacular natural reserve contains a unique eco-system from the other area in Republic of Uganda, giving guests a more complete understanding of Uganda's immense bio-diversity. Its secluded location provides the travellers a particular air of peace and tranquillity within which to relax and luxuriate in the dramatic scenery and wildlife of northern Republic of Uganda. It’s miles far away from the noise and dust of the town it's a totally different world altogether. Big skies, immense plains, inspiring views and wildlife all over you look. It offers breathless open savannah which is encircled by spectacular mountain landscape nowhere to be seen in Africa! The park may be a home to elephants, zebras, giraffes, buffalos, warthogs, duikers, hartebeests, lions, leopards, cheetahs and many bird species. A game drive around Narus valley offers guests an opportunity to see the best concentration of Buffalos, and Elephants. Different animals that will be seen roaming around include: canine, Zebras, Roans bovid, waterbucks, warthogs, Jackson’s antelope, Elands, or ibis, Cheetahs, Leopards, Klipspringer, and Lions etc. The distance is close to 500km. Estimated transit time is close to 9- 10 Hrs.